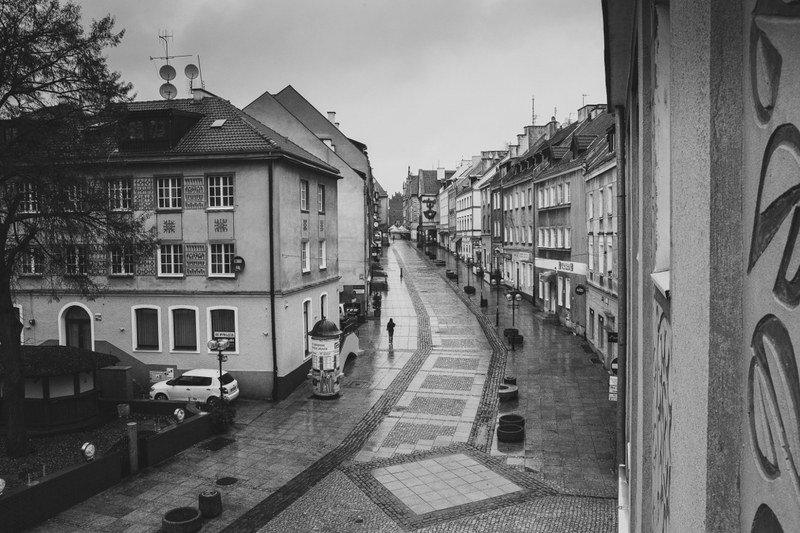 Do Polish cities lack places to sit down for a moment? SEEDiA analysed the data regarding public infrastructure in chosen cities, as well as demographic prognoses of our society. The results are staggering – many Polish cities have no places to sit in, and the situation seems to be only getting worse. The country’s capital, Warsaw, is at the very end of the ranking, with only 2.5 bench per 1000 inhabitants. In order to consolidate the data, SEEDiA’s report was based on information acquired from Municipal Green Spaces Authorities of particular cities. The rest of the infrastructure is managed by Municipal Roads Authorities, or housing cooperatives. In most of the cities, however, it’s the local green spaces that have the largest number of benches at citizens’ disposal. Additional ones are often located on city squares and in parks, fulfilling a recreational role. This approach is the most important for the report’s authors. Let’s start out with some trivia. Frankfurt’s municipal council will soon spend over 800 thousand euros in order to provide the city with new benches. A city with barely over 700 thousand citizens decided that their 7000 benches (10 per 1000 people) is not enough! In Steglitz-Zehlendorf, one of Berlin’s boroughs with 302 thousand inhabitants, there are roughly 3000 benches – only 1400 benches less than in the capital of Poland, which is five times larger in size and population. In New York’s Central Park alone there are over 9000 benches on the area of 3.41 square kilometers. The capital of Poland, which takes up 517 thousand square kilometers, there are only 4.4 thousand of them. Naturally comparing Warsaw to one of the most known squares in the world is not ideal, however the city also has multiple beautiful parks that unfortunately do not fulfill the needs for sitting down. Turns out the problem is more elaborate and covers more Polish cities. Taking the demographic data into account, there is only one conclusion – Poland does not have enough benches. SEEDiA received information regarding the number of benches from over a dozen Polish cities. Among the respondents, Krakow, Katowice and Rzeszow are in the best situation. The first one has over 7400 benches, the second one 3000, and the third one – 1700. It’s a decent amount, considering the number of inhabitants of each of them, which can be demonstrated by the graph above. The vast majority of the benches is managed by Municipal Green Spaces Authorities. For comparison, the Municipal Roads Authority of Posen manages only 340 benches, as compared to MGSA’s 2542. In Katowice, the analogous structure is 377 vs 3000 benches. The number of available benches should correspond to the demographic structure. Polish society is getting older. According to the prognosis for years 2014-2050, created by Poland’s Central Statistical Office, the population of Poland will be consistently decreasing, while the average age will keep increasing. According to CSO, in 2035 the number of inhabitants of Poland will drop to 36.5 million, and in 2050 – to less than 34 million. The prognosis for 2050 also predicts negative population growth, while mean lifetime expectancy will keep increasing to 82.1 year for men and 87.5 for women. That means that the number of seniors on Polish streets will be increasing, and they will need a place to sit sometimes – especially since 55% of people over 65 mentioned walks and outdoor activities as their favourite way of spending their free time. The problem of not enough sitting spots was noticed by the students of Chinese University of Hong Kong. As part of the course created by Designing Hong Kong, called “Designing agendas with social media”, they decided to conduct a campaign under the name of “Missing Seats”. It encourages the society to post pictures illustrating the lack of public sitting spaces on Facebook, Instagram or at www.designinghongkong.com. Publications are made under the #missingseats hashtag. They plan to use the received materials in order to lobby the local authorities, municipal councils, real estate owners and public transport organizations. Among those materials we can see true gems of photography, presenting real problems of citizens who need a place to sit: old sofas at bus stops, plastic chairs on the streets, or stools in the parks. The action displays the ignorance of the authorities and shows how negatively it can impact the city space. Cities’ inhabitants eagerly spend time outdoors in parks, squares and by fountains. It relates to families with children and elderly people, but also the youth. A bench is, after all, a place for socializing – meeting with friends, conversing with strangers, feeding the birds, walking our dogs, admiring the views or spending romantic moments with our significant others. A bench is a traditional, city-oriented piece of furniture with unrelenting popularity. It starts to become more prevalent to include benches as primary needs of the citizens during participatory budgeting, especially since they provide functions other than the traditional ones. Multiple cities want to develop in the spirit of smart cities. One of the aspects of this philosophy are smart, eco-friendly urban furnitures. SEEDiA’s benches are a great example, which fulfills all socializing roles of a traditional bench, while simultaneously being equipped in photovoltaic panels that allow for phone charging, gives out free WiFi, and has multiple other functions. What are they? It’s a matter of your goals. And your imagination.